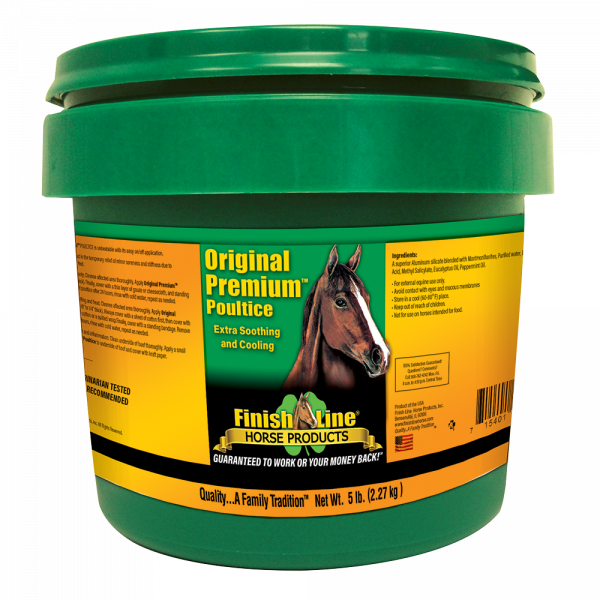 Finish Line® Original Premium Poultice is an extra soothing and cooling poultice that aids in the temporary relief of stiffness and soreness due to overexertion. 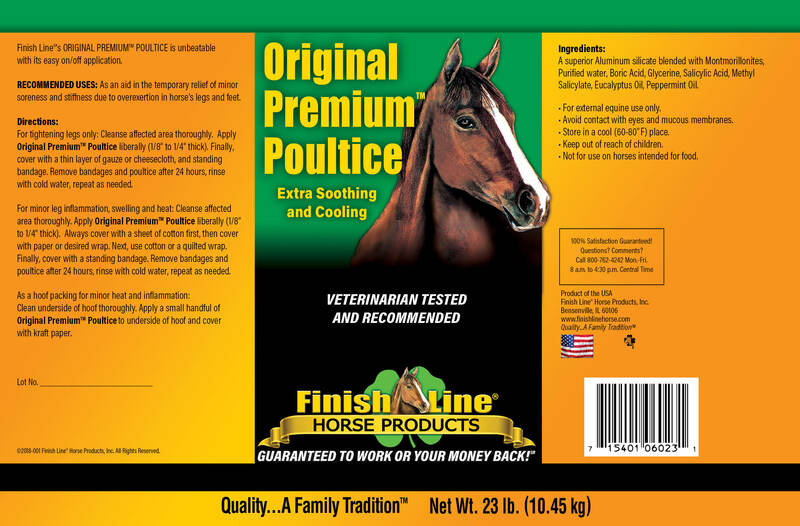 Contains essential oils that relieve minor discomfort and inflammation or swelling. Can be used daily. 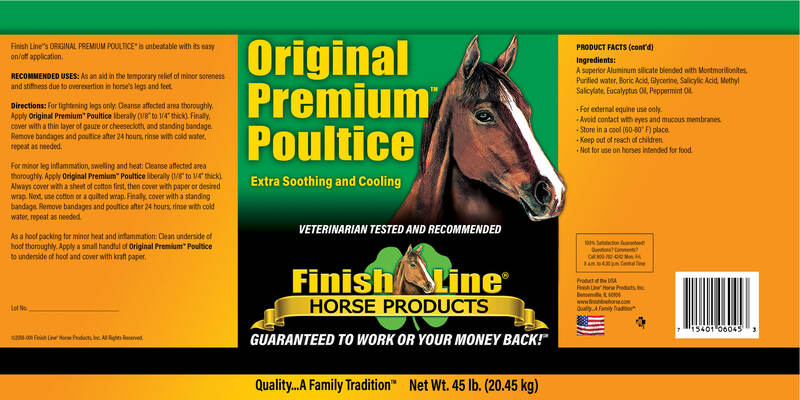 Helps draw heat from leg or foot. Easy on easy off application. Also used as hoof packing.